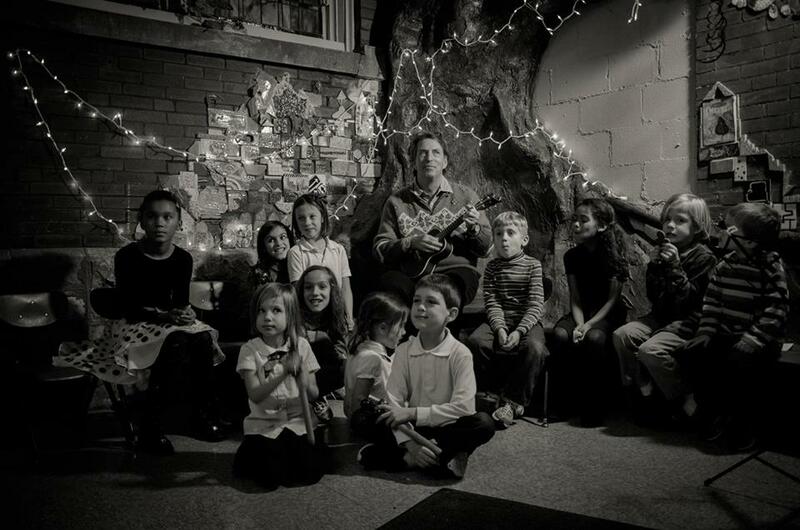 Strings Attached project is a nonprofit music education project of The Vine at St. Stephen’s. Please contact us for sites near you or how to become involved. 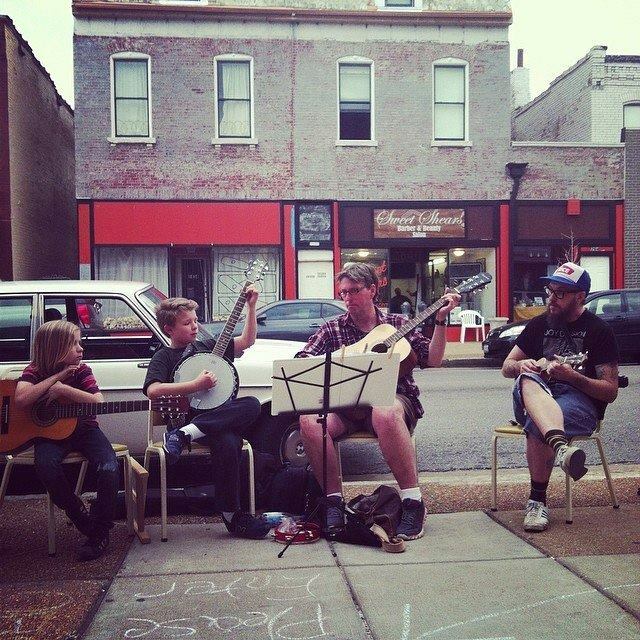 We currently offer low cost or free music education classes in Ferguson, Mo. Each class is an individual, one-to-one session for 1/2 hour or small ensemble creations in a group setting. Youth learn to read music, chord charts, engage in ensemble performance and give back to the community by sharing their talents in community settings, recitals and benefit performances. “Strings Attached” can provide a limited number of starter guitars, guitar bags and books to students who have a desire to learn, but lack start up gear. Students can take these guitars home for practice, provided they continue their guitar studies, practice as recommended and have good lesson attendance. 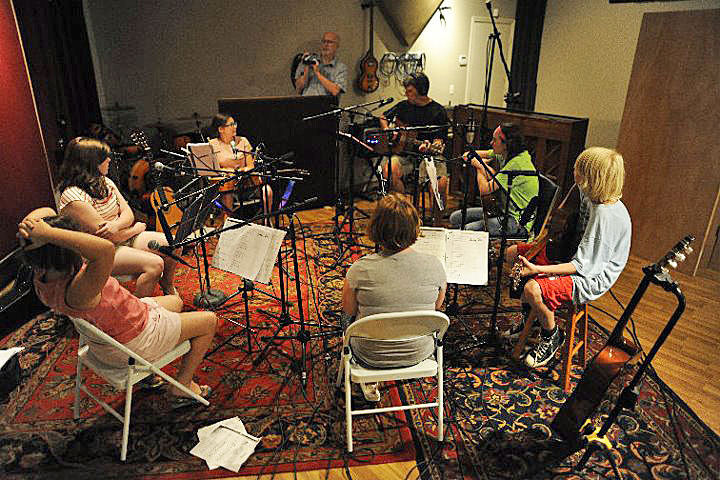 Students involved with the program and displaying outstanding “guitar- determination” for at least one (1) year are offered an opportunity to earn their own guitar provided by “Strings Attached project.” ” Guitar- determined” students display good practice habits, good lesson attendance and a willingness to get involved in playing with others in a constructive way. We recommend a $5 per lesson donation to the “Strings Attached” nonprofit program. All donations help the program pay for lessons, buy guitars, music equipment, books, help make the program sustainable and nurture its growth. All financial and in-kind donations are welcomed and appreciated! In-kind donations can include guitars, music books and other string instruments like dobros, banjos, etc. Adult lessons are also sometimes offered at reasonable fees, based on availability of times. If interested, please let us know so we can find a time to accommodate you. Lesson fees are used to benefit “Strings Attached” and its programs for youth.